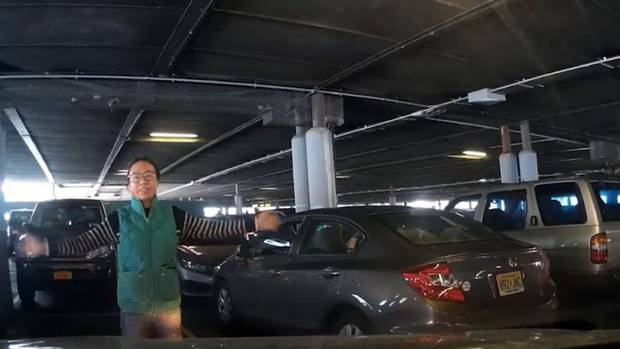 In the video, a woman was seen sprinting from a car to stand in an empty spot to block another driver's attempt to park. As the driver begins to pull in, she started waving her arms frantically while shouting "I got here first". Long story short, the driver eventually gave up and parked in a different spot. So, that incident happened in the States. But one viral post has revealed that a similar occurrence happened in the carpark of a Petaling Jaya mall. 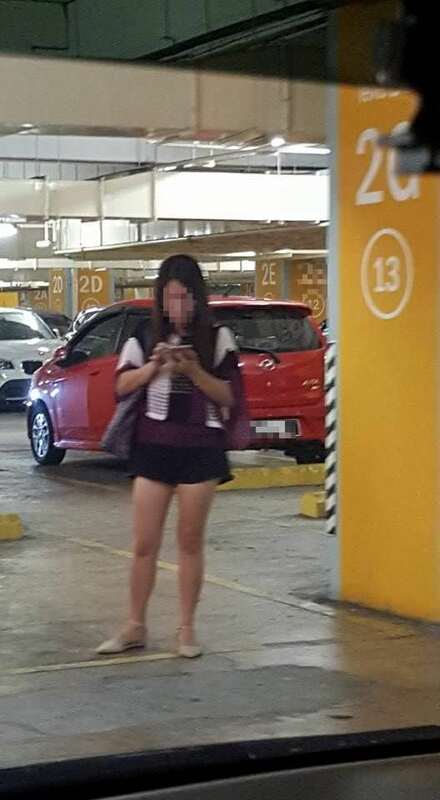 Yesterday, Facebook user Jason Ong took to KL吹水站 to share a series of photos showing a woman allegedly standing over a parking spot in 1 Utama to "book" it. The post has gone viral, with over 1,000 shares so far. 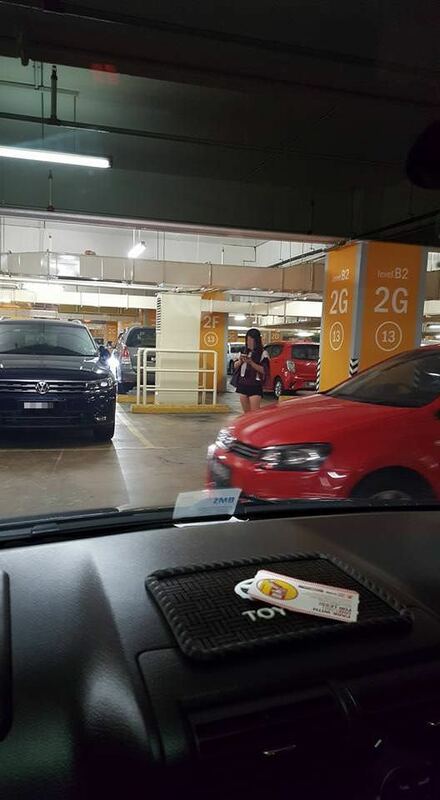 The caption of his post written in Mandarin reads, "Walao... another one hogging parking spot by standing"
A little bit of context for our readers living outside of the Klang Valley: 1 Utama is notorious for its parking problems – even on weekdays and it only gets worse on weekends. But having someone to stand in as a human cone to save a spot? That seems a bit excessive. Now begs the question – is it legal for someone to "book" a parking spot in Malaysia? AskLegal.my recently wrote a piece explaining that there is actually a law directly written about it. Section 50(3) of the Road Transport Act 1976 reads, "If any person, otherwise than with lawful authority, remains on any road or at any parking place for the purpose of importuning any other person in respect of the watching or cleaning of a motor vehicle, or for the purpose of directing any driver of a motor vehicle in respect of parking on such road or at such place, he shall be guilty of an offence." The general penalty of the Road Transport Act applies to this law, which carries a fine up to RM2,000 or up to 6 months in jail. Repeat offences get a fine up to RM4,000, and/or up to 12 months in jail. You can drop them a WhatsApp message at 011-5111 5252 with photos and details of the offender. Don't simply "chup" here "chup" there, everyone! Let's make parking courtesy a social norm. Woman Hogs Family Parking Lot And Tells Man With Kids That She Has "Money To Burn"